In 1998 a revamp of Tomorrowland was completed at Disneyland. Among the changes that occurred was taking the Carousel Theater, which once housed attractions such as the Carousel of Progress and America Sings, and turned it into a west coast version of Innoventions. Innoventions has been a longtime pavilion at Epcot, and it made its way over to Disneyland. 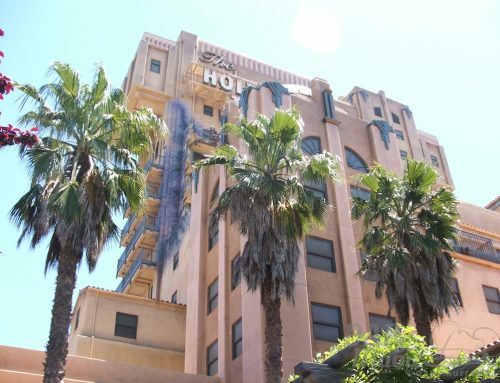 Where we’ve already covered the bottom floor history, here’s a history of the top floor of the attraction at Disneyland. Featured at opening of the attraction were several company sponsors that had exhibits throughout the second story of Innoventions. General Motors and Honeywell were sponsors on this floor. Honeywell featured an interactive play area centered around home technology. General Motors was probably the most popular of all exhibits. A specialized car model sat among one seat simulators. These simulators had viewing displays that provided a virtual reality experience of riding in a futuristic General Motors vehicle. In the queue area, a small animatronic entertained guests by explaining the technology of the vehicles. The simulator was fun, but usually had a long line because of how everyone was seated and how long it ran. 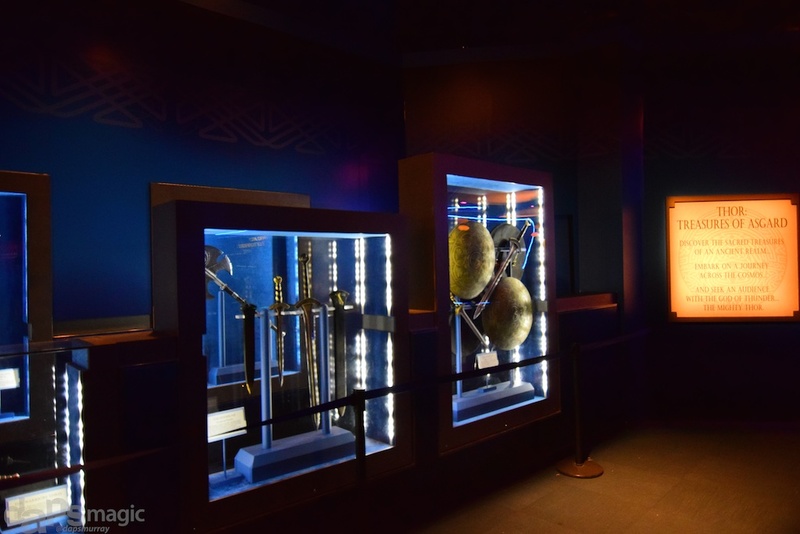 Some smaller Disney technology exhibits flushed out the rest of the area. As the Innoventions in Epcot changes based on sponsorships, so did Disneyland’s Innoventions. General Motors eventually left with the simulators, and a Segway course took its place. Pioneer appeared near Honeywell and had a Virtual Resort experience. Various interactive videos and equipment showed how their products could provide great home entertainment. AT&T had various experiences, among them were a type of hopscotch and a short cartoon show. St. Joseph’s Hospital had a Health University which was supposed to have guests travel around the exhibit in order and eventually have a “degree” in health. Several interactive elements showed BMI of guests or go on an exercise bike. Probably the most amusing was the screen and technology that could take a picture of a guest and show what he or she would look like in 50 years. Imagineers even set up shop in one part of the second floor with a Talk to Stitch interactive show. It helped test the tech that has made its way to various parts of the globe as full fledged attractions. Virtual Magic Kingdom, another Disney made game, had its headquarters on this floor at one point in time. Kiosks allowed guests to make their own account and start to play the game. 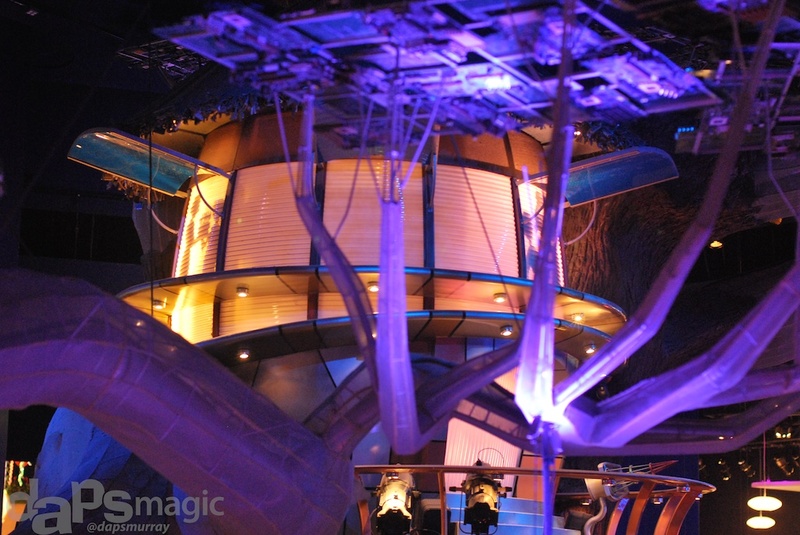 At the end of its life, this area of Innoventions completely changed out all exhibits. Asimo from Honda was one of the first to come in and stay. Asimo is a highly sophisticated robot, and a host put on a show in the small theater while Asimo displayed all that he was capable of. Project Tomorrow was a Siemens display area of interactive games and kiosks designed to teach people about what the future could hold…with Siemens products, of course. The area was a duplicate of the exit part of Epcot’s Spaceship Earth attraction. The games and kiosks included a way to put a photo of yourself into the future…or your future as it would say. A questionnaire at the beginning made this video have different outcomes depending on what guests would say. Displays nearby had seats and a steering wheel for Super Driver. Guests went through a story where they had to stop a super villain in a cartoonish 3D virtual display. A computer explained the advanced features of the car, but it was still up to the drivers to trigger and drive. Body Builder used 3D glasses as guests guided virtual drones that picked up pieces of a virtual skeleton to give an example of how procedures could be done remotely in the future. Don’t worry, as grotesque as it sounds it was all in good taste and entertaining. One popular game was Power City which used paddle sticks on a projected board to help a developing city. The paddles pushed the virtual pucks of power to spots that needed it. 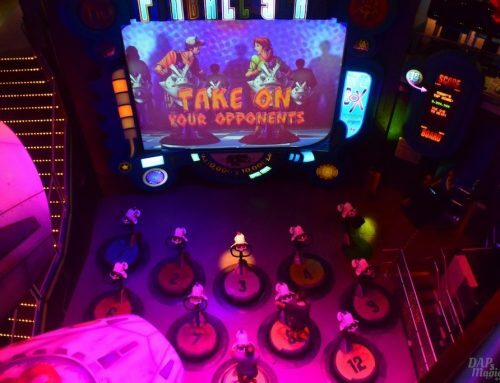 Players were encouraged to use the rare Green Energy pucks to the power hungry spots on the moving board. Another area that had a bit of a long life was one occupied by Microsoft and Xbox. Several game systems were available for guests to test out. 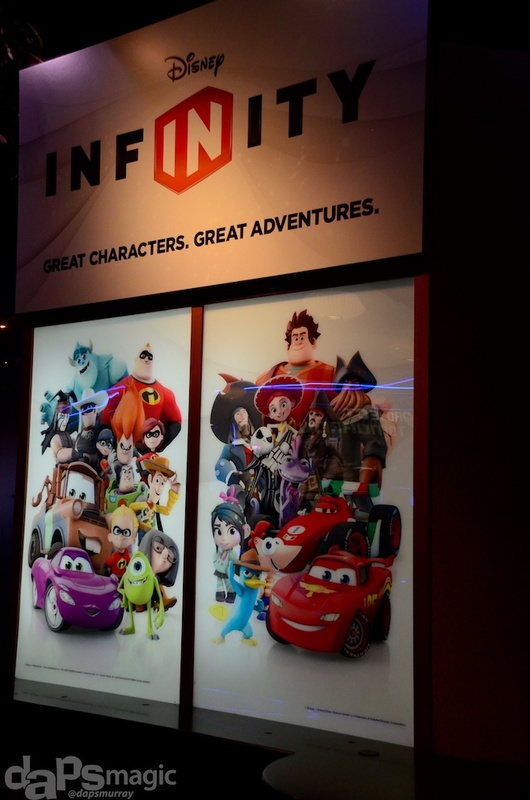 Eventually it was rethemed to Disney heavy games, and even became a place to preview Disney Infinity. 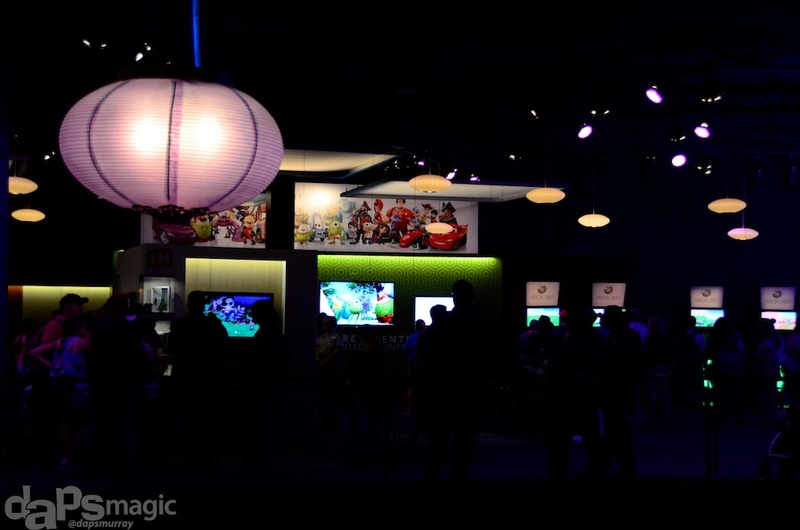 Disney Infinity 2 made its way to the Xbox systems, and Fantasia the Game. Three spaces that were not sponsored by a company, but rather served as Disney meet and greets were centered around Marvel characters. The first didn’t have any person to meet, but made use of suits of armor. 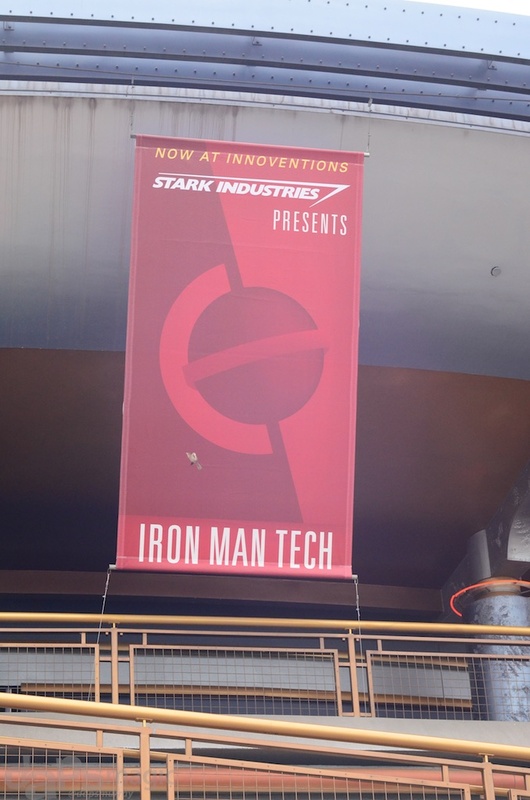 Iron Man Tech featured a display of his lifesize armors. Two screens that guests could wait in line for had people become Iron Man through a virtual experience. A scan is taken of the person, and cameras detected almost precise movements of individuals. This enabled a real time representation of the person in Iron Man armor. Jarvis instructs the user to make certain movements to calibrate the test video armor. throne room through a clever door. The room was pretty detailed for what was touted as a temporary meet and greet. It looked like everyone really had been transported to Asgard. Thor gave a brief demonstration of how only he could lift his hammer, Mjolnir. Then, guests were able to get photos with the Avenger. The third Marvel character area was a Captain America meet and greet setting. An exhibit that looked similar to the one found in the Smithsonian in the movie Captain America: The Winter Soldier had guests queue through different dioramas of information regarding the hero and his history. When it was time to meet the super soldier, guests went around the corner to find a large back lit shield with the super hero able to pose for photos. Often cast members at the latter greeting places had S.H.I.E.L.D. jackets or shirts to fit more with a Marvel cinematic universe theme. Outside of the building, banners often adorned the top railings of the building. At first there were retro attraction posters featuring former Tomorrowland icons. Later, symbolic depictions showed what was located inside the building. When the 1998 Tomorrowland opened, a color scheme that had some “earthy tones” were all around. As time went on, a new color scheme with more “metal tones” went across many of the buildings, including Innoventions. One thing to note about the building and its integration with the rest of the 1998 revamp, Rocket Rods zoomed through the second story of Innoventions. A wall and windows shielded Innoventions guests from the vehicles, but there was enough to be heard to note that it went through. 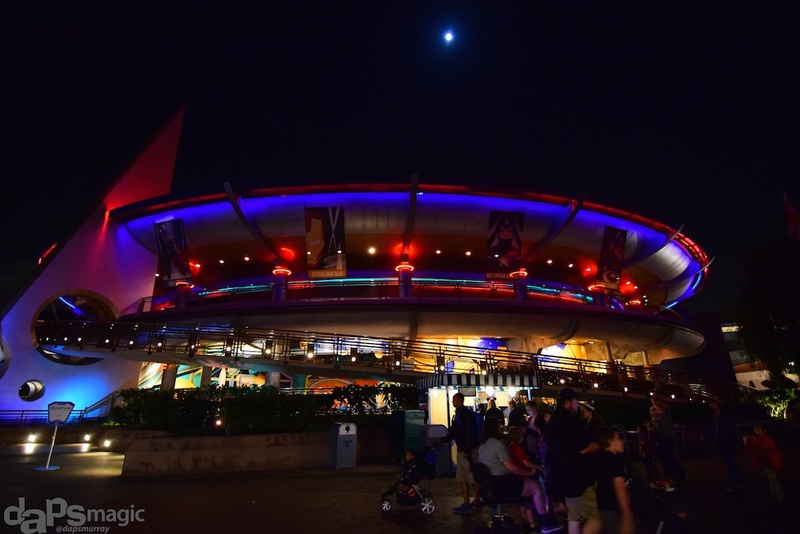 Innoventions closed at the end of its day on March 31, 2015. The attraction was a fairly enjoyable, but sometimes confusing mishmash of exhibits. 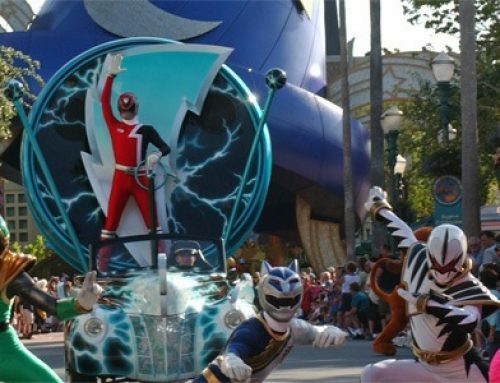 In the end it was mostly to house specific Marvel character photo locations, and it helped bring up its popularity with the average guest. But, for a long while there was not enough to keep people coming in on a regular basis. Innoventions was beloved by quite a bit of people. 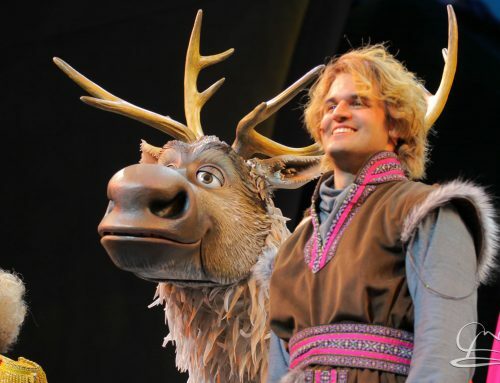 For some it wasn’t even the attraction itself but that it was a great place to interact with cast members. 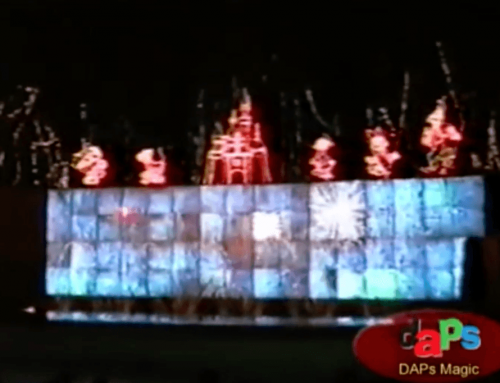 Many had been there for the near 20 years that the attraction was open. The attraction was a nice addition to Disneyland. The building was nicely air conditioned in the summertime heat, and provided some entertainment while cooling down. It will be missed, but there is always a great big beautiful tomorrow for this space, just as there was a great big world of innovention. Wow, fantastic job Murray! Great read, great information, and I actually found myself reliving some pretty great memories there. Thank you for doing this! My pleasure. I definitely relived it too as I wrote it.